It appears that spring time weather is on our horizon after another cold New Jersey winter. I hope that all of you have remained safe over the past several months. I moderated a CEO Roundtable on February 21, 2019 at the Edward J. Bloustein School of Planning and Public Policy of Rutgers, the State University of New Jersey in New Brunswick, NJ. A group of fifty ACHENJ members and graduate students attended the event. I would like to thank our three executives for their time and interest: Paige Dworak, FACHE, Chief Executive Officer, East Orange General Hospital, Amy Mansue, President, Southern Region, RWJBarnabas Health and Michael Maron, President and Chief Executive Officer, Holy Name Medical Center. I would also like to acknowledge Rahil Patel, MPA of ACHENJ for planning this event. The American College of Healthcare Executives’ 85th Convocation took place on Sunday, March 3, 2019 in Chicago, Illinois. Fourteen healthcare executives from New Jersey were awarded the status of Fellow at the Convocation. Please join me in congratulating our colleagues who have earned this great professional distinction. I am continuing to conduct visits to New Jersey colleges and universities who are members of the ACHE Higher Education Network. On March 28, 2019 I visited the Future Healthcare Leaders Student Club at Rutgers University at their New Brunswick, NJ campus. 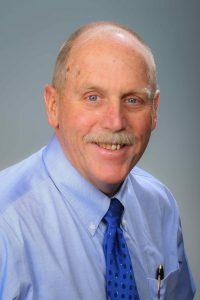 Healthcare administration is a growing part of the curriculum at many schools. If you know of a new academic program in healthcare administration in New Jersey, please make me aware of it. I would like to remind you about the Fund for Healthcare Leadership sponsored by the Foundation of the American College of Healthcare Executives. This Fund provides scholarship opportunities for developing leaders in our field. Please consider a donation to the Fund in 2019. The ACHENJ Annual Meeting is going to be held at Johnson and Johnson World Headquarters in New Brunswick, NJ, Thursday, June 6, 2019. Please go to the ACHENJ website to make your reservation for this great evening. I hope to see you there. 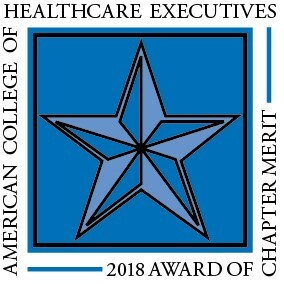 Thank you for your support and participation in the American College of Healthcare Executives.